As I said, I posted the images of the bug which had disguised itself with debris. I posted it at bugguide.net as an ID request at 4:53PM and at 4:55PM there was a response with a link to similar images and where you could find out more. 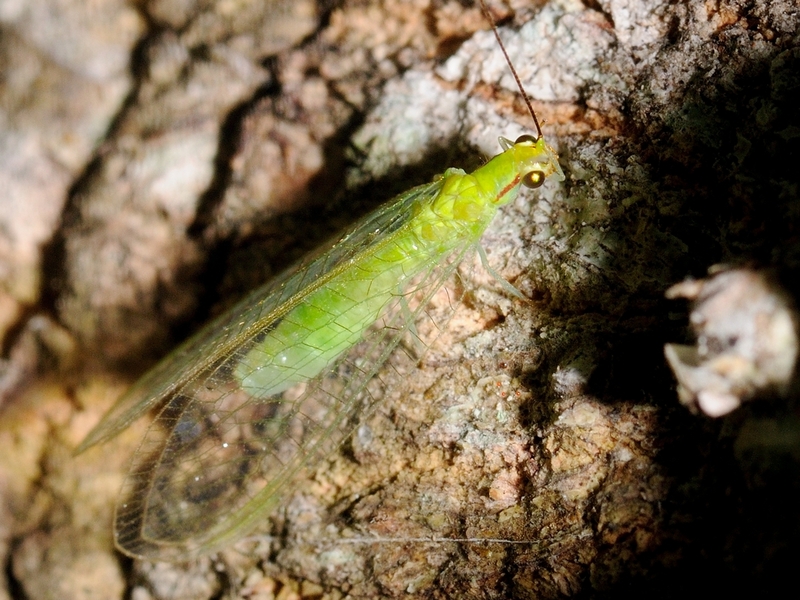 Turns out it was a green lacewing Chrysopidae. When it grows up, it’s going to look like this. and it came from eggs that looked like this. 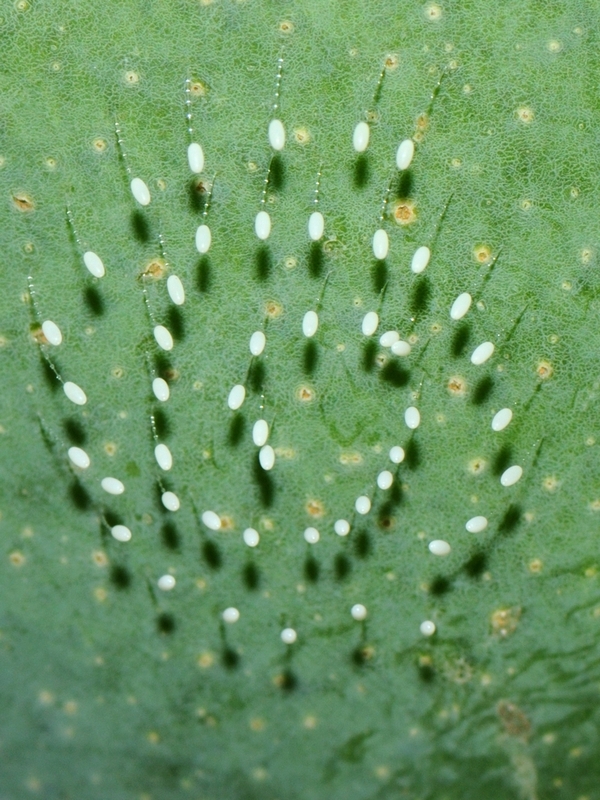 This entry was posted in animal behavior, Bug and tagged Chrysopidae, green lacewing. Bookmark the permalink.